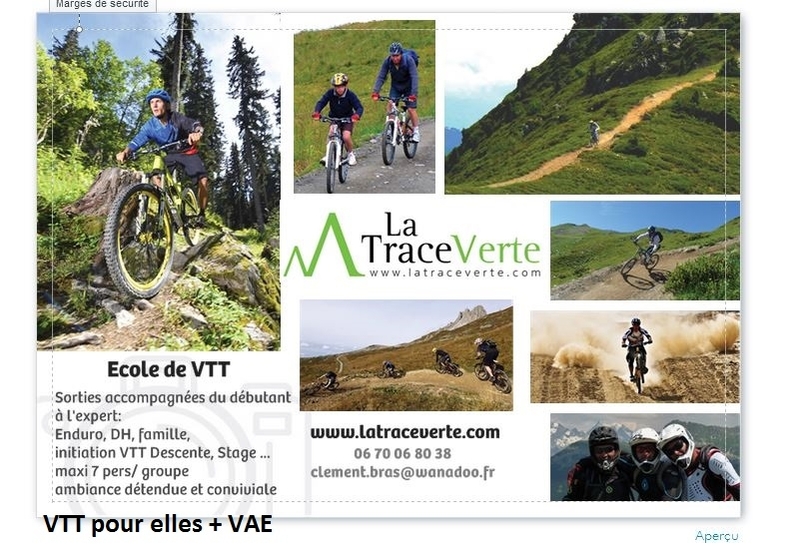 2 minutes from Méribel Centre, Direction "Altiport"
Qualified instructor Clément is the resort's Enduro mountain-biking specialist. He selects routes for their beauty, length and outstanding views. Small groups to ensure safety. Downhill, Enduro, gravity, Bikepark, Ladys, Family, E-bikes... From beginners to experts. English spoken ! Adrenaline course: between 2 and 4 half days / week of downhill mountain biking. Enjoy a specialized instructor in DH and a small group to introduce you, emprove yourself and finally master the technique. Sensations insured. Excursion "Adventure": Enduro MTB, for athletes in search of freedom. Go away from the crowds in wild and natural trails while enjoying the breathtaking panorama. You will discover the secrets trails of the 3 valleys. MTB For Ladies : finally a MTB excursion specially designed for girls! whatever your level, in a friendly atmosphere, LaTraceVerte guides you safely. pedagogy and progression adapted for maximum enjoyment! MTB for All :Mountain biking excursion Labelled Family Plus, with tailored coaching and suitable trails, Clement gives you confidence and enables you to go mountain biking safely. Whatever your level, spend a nice time with family. Electric bike (E-bike): daily excursions. After the lifts close, browse the mountain effortlessly with the Electric Bike and enjoy the peace, nature and paths! Go with LaTraceVerte to become familiar with the E-Bike and roll over the best trails! This activity allows participants from different levels to ride together. « Qualified instructor Clément is the resort's Enduro mountain-biking specialist. He selects routes for their beauty, length and outstanding views. Small groups to ensure safety. - Half day Discovery circuit, day outings for beginners and experts. - Themed outings: downhill, enduro, Bikepark, 3 Vallées and families.